This is the longest exposure of the corona that I took. It happened to be luckily timed so that the sun started coming out just at the very end, and you can see the diffraction spikes at the top right of the moon. I didn’t get enough (sharp) intermediate exposures for a proper HDR composite, but that’s something to aim for next time. 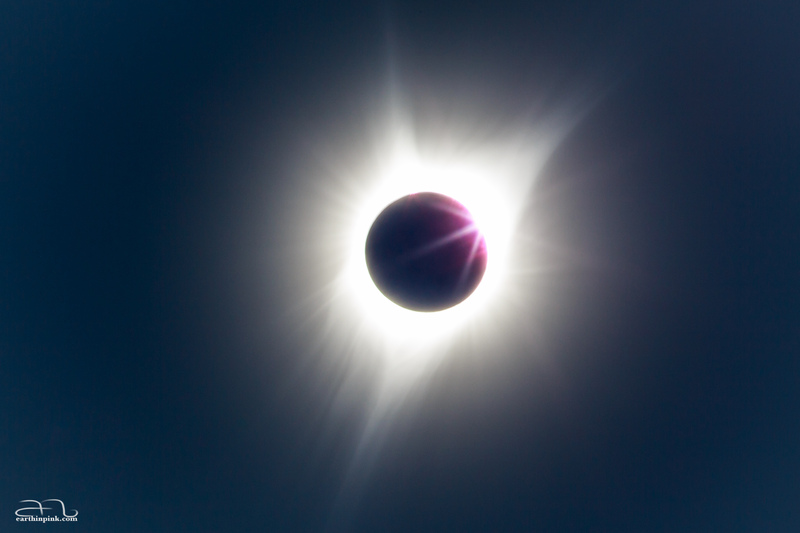 All in all, for the first time photographing a total eclipse, I am happy with what I got, and I definitely plan to try again!